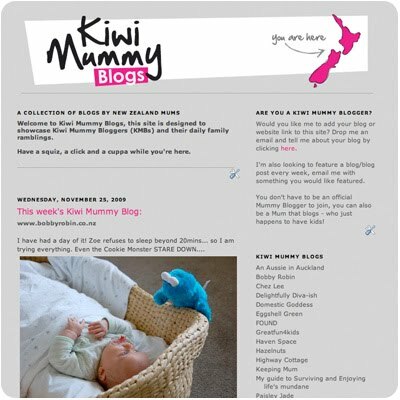 Check out this awesome new site... Kiwi Mummy Blogs! I'm on there and I'm also super keen to meet some other Kiwi Mummy bloggers. Thanks so much to Sarah from :: BobbyRobin :: for creating this space! Thanks for stopping by my site, and leaving the link for the kiwi blog site. Love your photos and your website!! Thanks for letting me know about the Kiwi Mummy Blogs site. You have a beautiful blog. I look forward to reading your posts. I'll have to check it out! I love your blog design! Hi! I just found your blog through the kiwi mummy blog site too - what a great idea :) I'm a blogger too, nice to connect with other mums! love love loved your candy girl! the big honkin choco bar is the only thing left 2 days later;) took a photo i'll share when i upload, blog and get a life! Thanks for the visit, I can't wait to sit down and have a good browse. It is very hard to find kiwi mummy bloggers!